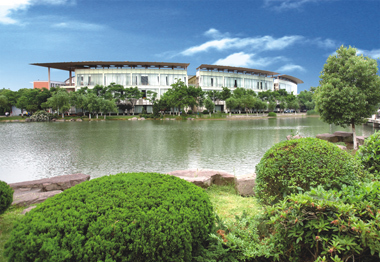 Zhejiang Wanli University (ZWU), situated in Ningbo, covers a total area of 95 hectares and consists of Qianhu Campus, Huilong Campus, and Zhashan Base. ZWU has most beautiful human-orientated campuses, green and well-equipped, widely recognized by people in educational circles. 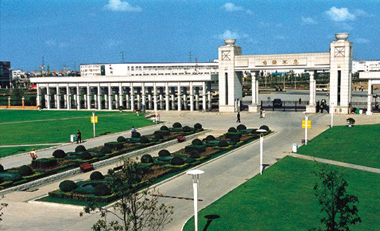 In ZWU, there are a Business School, a Law School, a Faculty of Culture & Communication, a Faculty of Foreign Languages, a Faculty of Design and Architecture, a Faculty of Biological & Environmental Sciences, a Faculty of Electronic and Information Engineering, a Faculty of Computer Science and Information Technology, a Junior College, for a total of 10 faculties, as well as Continuing Education College and World College. ZWU provides 47 4-year undergraduate programs, which comprise disciplines as wide as economics, law, literature, science, engineering, agriculture and management. At present, there are more than 20,000 full-time students at ZWU, with a staff of more than 1,000. ZWU has set up a key provincial laboratory, known as the Fundamental Course Teaching Demonstration Center for Electrical & Electronic Processing. ZWU also has four key municipal laboratories: Ningbo Agricultural Product Processing Laboratory, Ningbo Electronic Design Automation (EDA) Laboratory, Ningbo Digital Signal Processing (DSP) Laboratory and Ningbo Microbiology and Environmental Engineering Laboratory. In addition, ZWU has 20 research institutes including the Institute of Applied Linguistics, the Institute of Biological Technology, Chinese and Foreign Law Research Center, Ningbo Industrial and Economic Development Research Center and Ningbo Auditing Institute. Therefore, ZWU possesses many key provincial and municipal specialties and disciplines. The university library houses a collection of more than 1,200,000 books; about 2,500 journals both in Chinese and foreign languages; and is equipped with “the Closed Mirror Station for China Academic Journal Net”, the “Wanfang Data Service Center”, and an additional 6,000 digital periodicals available on the university network. 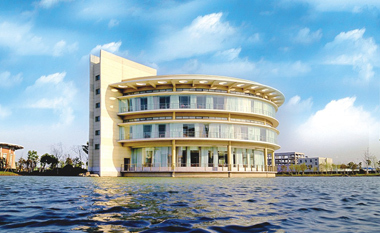 On Huilong Campus, in order to cater to and meet the particular requirements of freshmen, the university implements independent management and places emphasis on the fundamental teaching of foreign languages and computer skills. The course credits, flexible teaching, tutorial system and teaching according to their aptitude, hence student-oriented management system is realized. Over the last few years, the university has actively participated in international exchanges and cooperation with other universities, successively establishing relationships with more than 20 universities in the UK, France, USA, Canada, Australia, New Zealand, Japan, Korea, Ukraine, among others. Furthermore, ZWU has established a close partnership with the University of Nottingham. Thanks to joint efforts, a new cooperative university, the University of Nottingham, Ningbo, China (UNNC), which follows the education system of the University of Nottingham, UK, has been set up. Through mutual recognition of credit, many channels of overseas study are opened up to graduates. The university provides students with opportunities to experience foreign cultures and to acquire the latest know-how, and a caring atmosphere to study foreign languages by virtue of student exchange programs, short-term visiting programs and the annual employment of more than ten foreign teachers. In addition, the university also encourages teachers to attend international academic conferences and to undertake internationally co-operative research and welcomes overseas scholars to give lectures or make short-term academic exchanges. While running our university under the guidance of the principle: “Putting students first;Ensuring high-quality education;Serving economic development; Committed to internationalization”, the quality of teaching is always our focus. The employment rate of graduates is very positive, and graduates from the university are widely appreciated by employers. The university attaches a great deal of importance to the development of campus culture. The four seasons in ZWU ---- Green Wanli, Technological Wanli, International Wanli, and Human-oriented Wanli, become the highlights of a series of large-scale activities. Cultivation of students’ innovative and pioneering spirit and a wide variety of activities in which students interact socially has created an academic atmosphere and human-oriented environment with special characteristics in ZWU.